One of the biggest concerns for Beekeepers is the Varroa mite. Since I started beekeeping three years ago I was made aware of the various pests and diseases that your bees can be affected by, and the relevant treatments that are recommended to manage these. I have always been uncomfortable with using chemicals of any kind on my bees but was mildly comforted with the Varroa treatment of ‘Thymol’ as it was a concentrated essential oil. However, on further reading I have learned that even a natural essential oil can have a damaging effect on the very delicate balance on the habitat within a Hive. 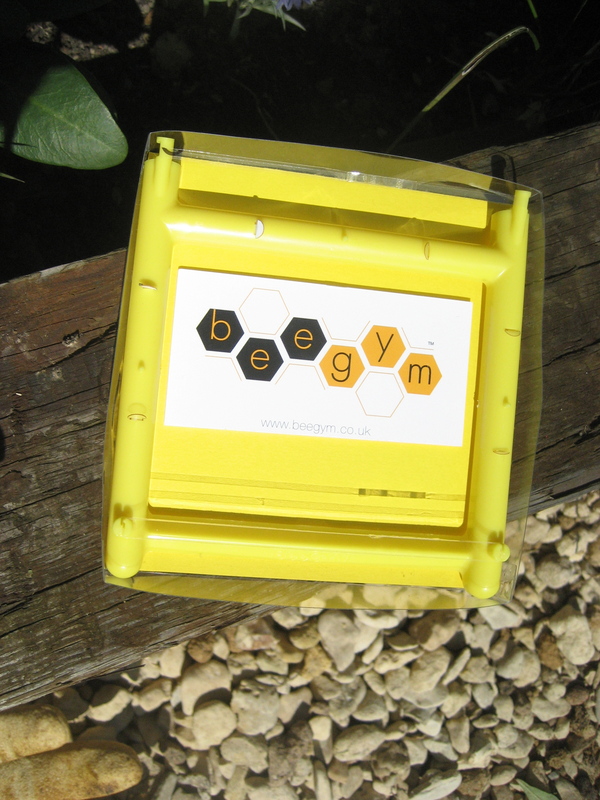 I was very interested to hear from a fellow beekeeper about the ‘BeeGym‘. It is a very clever gadget that you place inside your hive and basically the Bees wiggle around on it, scratching themselves, making any Varroa mites fall off! The very interesting thing about it is that the bees soon learn to choose to use the gym on their way in and out of the hive, even during busy times when a quicker route in or out may be taken. Research has been done with several hives, filming the bees along with taking a record of the ‘mite drop’ on the observation board. After I had harvested the honey from my hive and the time came to consider varroa treatment I decided to order a Beegym and fit it for my bees. When it arrived I was shocked at how small it is. I was due to do a thorough hive inspection which was the perfect time to fit the Bee gym. It is recommended that you fit the gym in the brood box, beneath the frames but above the mesh base. You can put it by the entrance to the hive so that the bees can use it as they enter. You could also attach it to a frame within the brood box which makes it more accessible to the worker bees who are nursing or cleaning. The varroa mite grows in the cell with the bees and so the sooner the bees can rid themselves of the mites the better. I decided to place my gym on the base of my lower brood box and near the entrance. 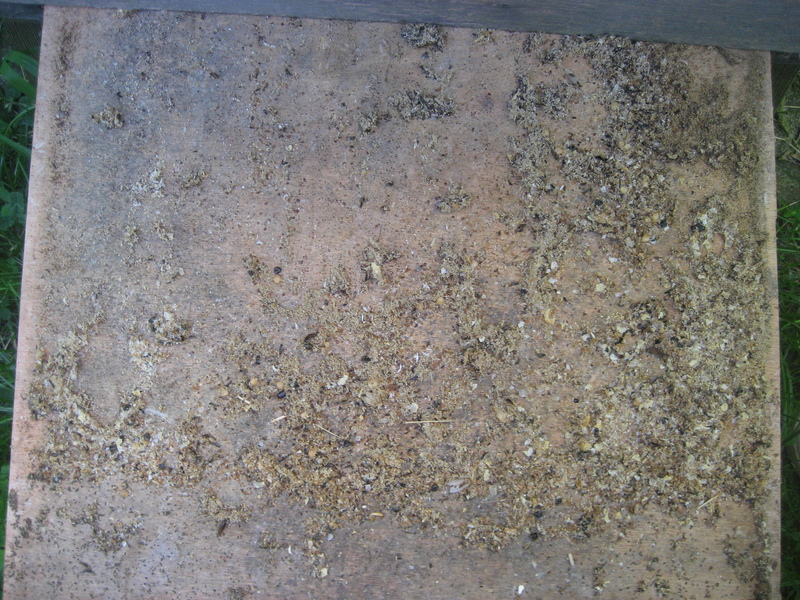 Before I had opened the hive I had removed the observation board & inspected it for mite drop. 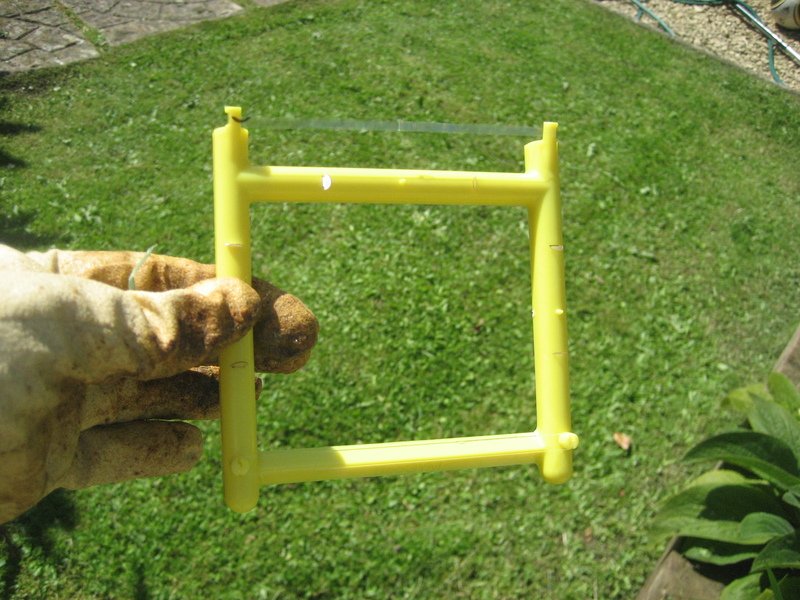 It did have a fair scattering of mites, so I cleaned it off and replaced it. By regularly inspecting the board you can see if the mites are being removed. It’s one of those mixed results, if you see a lot of mites on the board you know that whatever treatment you are using is removing the mites. If there are no mites then either you have a very rare hive with no mites, or the mites are staying put on the bees, which can be catastrophic. The good thing about an observation board is that I can pull it out to observe without opening the hive and therefore it causes no upset to the bees. I’ve been checking the board every few days and there has been quite a drop of mites, so something is doing that. As I haven’t used any treatment it must be either a natural drop or the bees using the Bee Gym. I shall let you know how the girls get on through this winter. In the mean time I recommend that you look at the bee gym website and watch the videos of their trial bees using the gym.